Occasionally, we come across a Beauceron in an unfortunate situation that needs a new home. Space permitting, we try to take these dogs and locate them in permanent homes with loving families. To view rescues who are presently looking for homes, click the “Available Puppies and Dogs” link under the Looking for a Beauceron? menu. 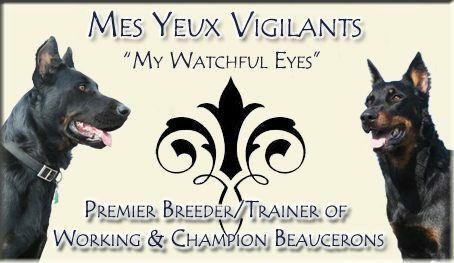 To find other Beaucerons available for rescue, or to seek assistance for a Beauceron who needs rescue, you should also contact the American Beauceron Club.